…and I’m writing for it. 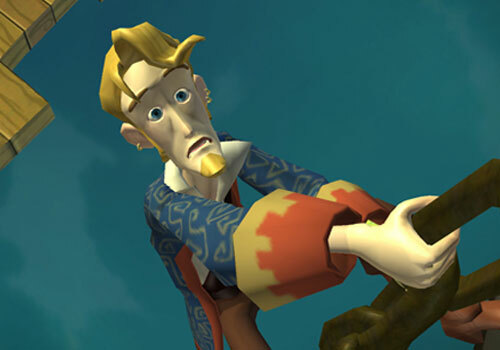 That is, if you vote for me in Telltale Game’s “Game Designer for a Day” contest, where fans are asked to submit dialogue pertaining to some horrible, but hilarious wrong that the main character Guybrush Threepwood committed on route to his, *UNIMPEDED SPOILER*, trial. Mine is the best. I checked through all of the other entries…and…objectively…mine is the best. Back on Mêlée Island™, his pixelated not yet fully developed character and somewhat sluggish dialogue offended my fine artistic sensibilities. Argh! Vote for it here and don’t even bother to look at anything else on that page or submit your own. Its over…just vote for me to speed along the inevitable.